If you’re interested in renting a G63 in LA you found the right place. Our Gwagon rentals provide a combination of luxury and performance that can only be found in a Mercedes-Benz SUV. The G63 is the AMG version of the G-wagon and adds additional performance and a host of other features both on the exterior and interior. Los Angeles G63 rentals are a great option if your traveling with a large group of friends or family. The beautiful Mercedes AMG SUV has a twin-turbo 5.5-liter V8 engine that creates 563 horsepower. Combined with a seven-speed automatic transmission and all-wheel drive. Your gonna love your g wagon rental as soon as you step inside. The timeless design of the G-Class is updated with an AMG radiator grill as well as an updated front bumper. It also comes with special fender flares and stainless steel running boards that complement the exterior. On the side, you will also be able to tell the AMG model apart from the regular version by the V8 Biturbo decal. 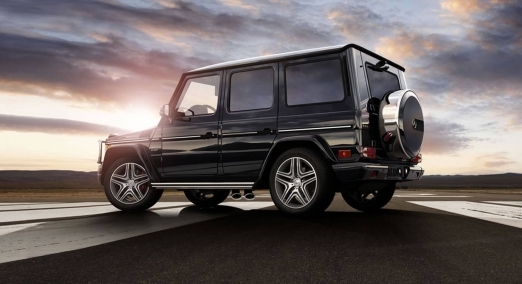 The feature we love most about the g63 g wagon is the AMG dual exhaust system that comes out of the side of the car. The twin tailpipes accent the sound of the V8 engine making a symphony of sounds when you press on the gas. Rent a g wagon Los Angeles style this weekend! The Mercedes G-Class AMG comes with Nappa leather that adorns the G63 seats, dash and door panels. Polished wood or chrome accents add refinement throughout the SUV, while advanced technology is seen throughout the car in the navigation system and sounds system. Rent Mercedes Benz G63 AMG in LA and you’ll have plenty of room to drive you and your friends around Beverly Hills and Rodeo Drive or anywhere in LA. If you’re looking to rent a luxury car that has stood the test of time like no other luxury SUV on the planet then the g wagon is the best choice. We offer door to door delivery service and a top notch customer service. We can deliver the g wagon rental to Los Angeles International Airport. There are also special rates for long-term monthly rental and weekly rentals. Try our G wagon rental in Los Angeles today!